Do you fiber cement siding? If so was it installed between 1998-2013? If so you may have CertainTeed Weatherboard siding which has been recalled and has a class action lawsuit against it. You are eligible to get money from the class action lawsuit to pay for a portion of your siding. Be aware that a lot of builders called it “HardiPlank”, but really installed a cheaper version of fiber cement called CertainTeed Weatherboard. If you believe you may have CertainTeed Weatherboard fiber cement siding than call Elite Exteriors LLC for a FREE inspection! Any building that had CertainTeed Weatherboard siding installed between 1998-2013. The amount of compensation depends on the area of siding, the damage, and the age. Contact Elite Exteriors. We have assisted in filing over 100 claims for customers with this recalled siding. This service is FREE! The Class Action Lawsuit could end at any time. 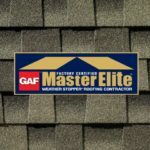 File it now with the assistance of Elite Exteriors!! The longer you wait to file your claim, the less money you may receive AND the class action lawsuit could expire leaving you with no recourse. The way you file your paperwork will affect how much money you receive. Elite Exteriors has filed over 100 claims for customers and we know how to maximize your refund. This service is FREE. All Elite Exteriors wants is an opportunity to install new siding on your home for you. Allow us – at no cost or obligation – to assist you in this process. We are here to help!! Why do I need to remove the recalled siding? Even if your siding does not look that bad now it will continue to get worse. It will continue to shrink and crack. Eventually water will leak through the siding leading to possible water, rot, and mold damage in your home. Your siding will not stop getting worse. It will continue to shrink and deteriorate. Get is replaced as soon as possible so you can maximize your refund and avoid interior damage. 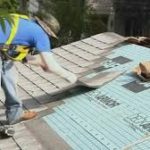 CertainTeed will pay over 100 million dollars to settle the Class Action approved by the Court. Check your purchase or repair documents. You may have receipts, warranties, bills of sale, or brochures from when you purchased or repaired your Siding. These documents may say that CertainTeed Weatherboard was installed on your property. Qualifying Damage to Siding means damage caused by a defect in the Siding that is manifested as shrinkage between the ends of Siding in excess of 3/16” except that for Siding installed abutting windows, doors or trim, shrinkage must exceed 5/16”. 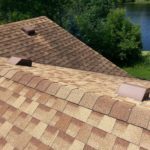 In addition, Siding with warping or bowing in excess of 1/2″, field and edge cracking through the board, or delamination is also Qualifying Damage. Siding means CertainTeed WeatherBoards™ Fiber Cement Siding, Lap Siding, Vertical Siding, Shapes, Soffit, Porch Ceiling, and 7/16” Trim installed on or before September 30, 2013. What Happens if I do Nothing at All! If you have the Siding on your building, all decisions made by the Court in this lawsuit or about the settlement will apply to you. If the Court approves the settlement, you will have released CertainTeed from any further claims against it about the issues settled in this lawsuit, and you can’t ever sue CertainTeed again about these issues. This is true even if you do not send in a Claim Form for a remedy. However, you will retain the right to make a claim under the Agreement until six years after the Effective Date. There is a shorter deadline if you sold the building. Contact Elite Exteriors LLC. We have assisted in filing over 100 claims for customers with this recalled siding. The service is FREE!